Designed to compliment our Toothbrush Box, Storage Box Mezza is ideal for storing daily-use toiletries in an elegant way. 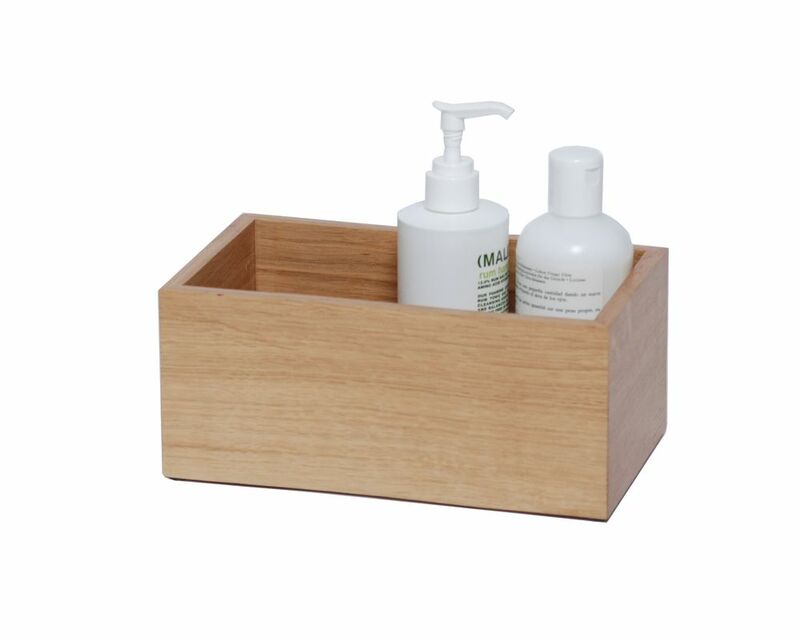 Made from a combination of solid oak and oak veneers, our storage box has quality mitred corner construction with inset silicone feet to stop it slipping. A rather becoming bathroom accessory. The dark oak variant is made from a combination of solid dark-stained oak and oak veneers.